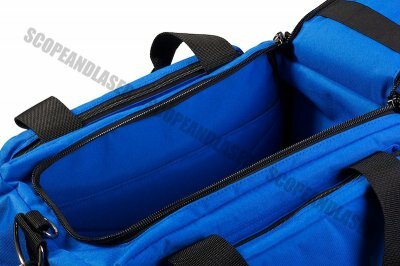 The CED Deluxe Range Bag has two zippered pockets on the ends of the bag. An over-sized ID holder has been incorporated into the top ?U? shaped zippered closure, making it easy to locate and identify your bag. 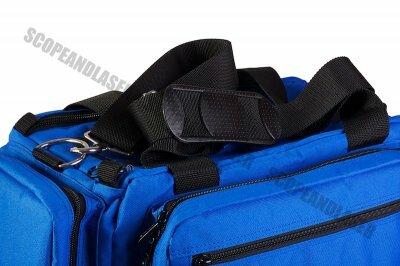 Each bag is made of rugged 600D Polyester weather resistant fabric, with strong chrome-plated metal hardware and heavy duty stitching. 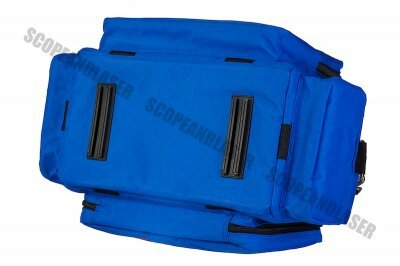 Finally, the CED Universal Pouch, attached to an accessory D-Ring on the end of the bag. Elastic accessory straps added to hold those little "extras"